Liz was diagnosed with Alopecia Areata in 1985, and has offered support to women with hair loss ever since. 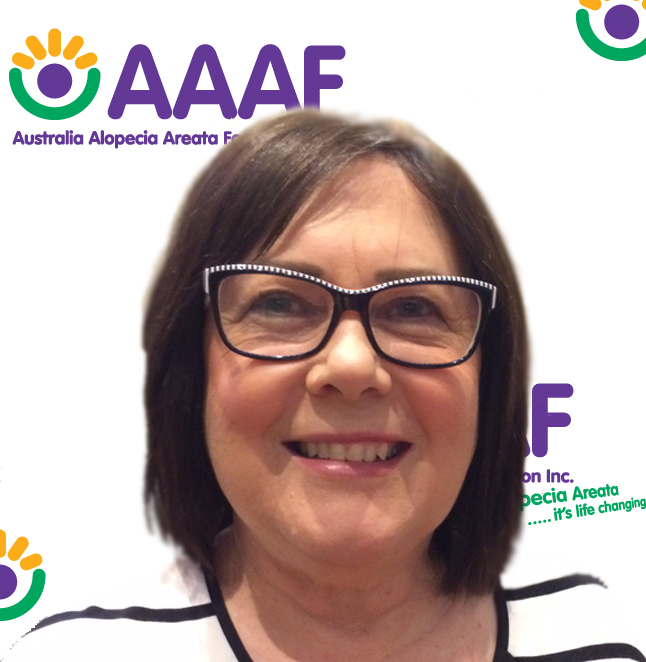 So it was a natural stepping stone to her joining the AAAF in 2010 as the South Australian Branch Manager. There is a family history of Alopecia Areata so Liz is passionate in offering support and raising awareness of the disease. She hopes that through research a cure will be found in the future. Liz works in the family Agricultural and Viticultural business and is a part-time Office Manager in her husband’s legal firm. Click here to ask to join the SA Support Group. info@beverlymay.com.au Website Specialising in Wigs, Hair Pieces & Invisible Hair Grafting – a non-damaging, secure, and undetectable method of attaching wigs and hair pieces. Transition Hair 1300427778 Website Famous for our boutique service at an affordable price, we specialise in custom made wigs in European Hair.